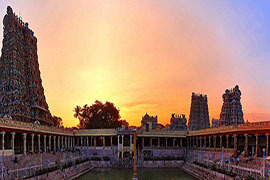 Looking for a memorable Indian holiday that comfortably fit all your needs? Then one option to consider is Rayna Tours’ Breathtaking Goa! Goa may be India’s smallest state, but it blissfully boasts of a variety of attractions that draws vacationers from all across the world, making it one of the country’s most visited destinations. 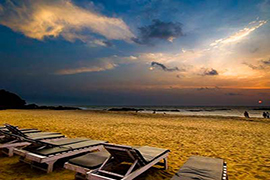 This all-inclusive package with accommodation and airport pick-up and drop off promises you an inspired Goa holiday that is devoid of the tensions and stress of organizing a perfect vacation. You’ll have out of the ordinary experiences all throughout your four-day stay in Goa. Witness the mind-boggling mix of new and old structures, dense wildlife parks, and pristine beaches framed by palm-fringed scenery, as you go on a North Goa tour along Panaji, Old Goa, and Mapusa. Alternatively, with a South Goa trip, you’ll be delighted to discover attractions including Spice Plantations, Dona Paula, Mangueshi Temple, St. Augustines Tower, and Se Cathedral - the largest church in Asia. So come and experience the best of Goa on this vacation of a lifetime!